Nobody wants to ever wants a game to end in controversial fashion, especially a game in which a trophy or medal is on the line. Unfortunately for hockey fans, controversy reared its head into the final of the final of the Women's World Hockey Championship between the United States and host nation Finland. 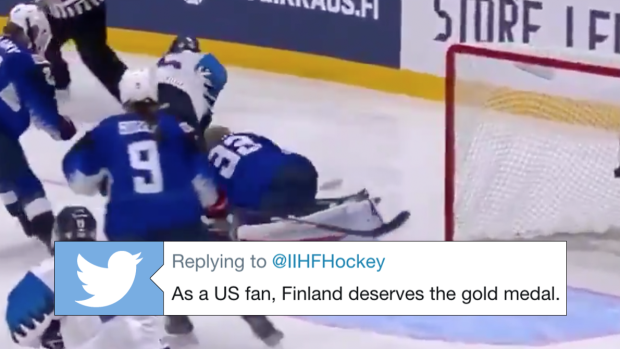 Finland thought they scored the tournament-winning goal in overtime, but video review reversed the result and the United States won in a shootout. The entire situation was made even more confusing when a tripping penalty was given to the Americans, but the goal was still disallowed. Monday morning, the IIHF tried to clear things up with a statement on the disallowed goal. The statement isn't one fans of Finland will be happy with and there will still be a lot of debate about whether the correct call was made, but the IIHF had to make a statement. It's unfortunate such a historic moment was taken from Finland like that, but both sides of the coin can be argued and will be for a long time.